“In order to judge the character of a nation, look no further than its health system.” This yardstick doesn’t project a positive image of Pakistan, with respect to all the three measures of the performance assessment of the health system–equity in health outcomes, fairness in financing and responsiveness of the system. But even more serious than the poor health status of the country’s population are the wide inequities prevailing across income groups, rural or urban status of living and across genders. A recent analysis by the writer has shown statistically significant differences in health outcomes across quintiles of income measured in the Pakistan Demographic Health Survey database. Three vertical “health systems” with mutually exclusive service delivery infrastructures, human resource, governance arrangements, and public or publicly-mandated private means of financing exist in their own right. These include health systems of the armed forces, the Fauji Foundation, and the Employees Social Security Institute. Collectively, these cover 14.20 per cent of the country’s population. The predominant health “system” in the country can be described as being “mixed.” Here, out-of-pocket payments and market provision of services predominate as a means of financing and providing services, alongside publicly financed government health delivery. Two horizontal “health systems” provide health coverage to an additional 2.38 per cent of the population through this mixed system. These are the health systems of quasi-autonomous agencies of the government and the corporate sector. They use insurance or reimbursements as a means of financing but access the public or private sectors for service provision. Revenues fund healthcare for 15.22 million public-sector employees. In addition, 500,000 poor individuals are covered under safety nets. It can therefore be inferred that quality issues notwithstanding, 26.62 per cent of the population of the country is covered for healthcare costs, while 73.38 per cent is not, and makes some level of out-of-pocket payments to access healthcare. Recent health financing analyses show that out of the total amount of GDP spent on health (2.90 per cent), 1.16 per cent is contributed by the public sector whereas 1.73 per cent is contributed by the private sector. Predominance of out-of-pocket payments and private financing–regressive means of financing health–show that Pakistan fares poorly with regard to “fairness in financing,” the second parameter of performance assessment. A cursory examination of data from the Pakistan Social and Living Standards Measurement Survey of the Federal Bureau of Statistics shows poor performance with reference to the third domain, responsiveness. More than 70 per cent of service provision in health is by the private sector, but the state doesn’t harness its capacity to deliver health-related public goods. The poor performance of Pakistan’s health system is in stark contrast with what Pakistan has stated in its successive policy frameworks and planning instruments. The design of Pakistan’s three-tiered public infrastructure, a response to the international Alma Ata Declaration, has encouraged the mistaken notion that the state is pursing the goal of Health for All. The nature and magnitude of fundamental distortions in Pakistan’s health system, therefore, make health reforms a strategic imperative. A number of systemic changes are needed in the mechanisms of financing, delivering and governing healthcare, and in the means of providing inputs into the system (human resource, medicines and products), in order to meet the objective of Health for All. Healthcare is strongly influenced by the broader systems constraints within the sphere of political economy: without debt limitation, fiscal responsibility and measures to broaden the tax base, there won’t be fiscal space available to allocate monies to the health sector. There can be many entry points into health reform; change in financing arrangements is one of them. The objective should be to move towards public sources of financing (revenues and/or pooling) as opposed to private means of financing predominant in Pakistan. Here, Pakistan has to incrementally make indigenously relevant changes. Gradual increase in revenues is important, but more important is the reorganisation of existing financing. This can be achieved through action outside of the health sector and legislation to make it binding on employers to pool for employees through payroll taxes or employers’ contributions for the formally employed sector. For those in the informally employed sector, there are options to broaden the base of social protection by augmenting existing waiver and cash transfer systems. Reform of the state’s current arrangements (Zakat and Bait-ul-Mal) is critical in this space. Management re-engineering of public-service delivery can be another entry point into health reform. It is envisaged that, with adequate re-sourcing and management re-engineering on private-sector management principles, workforce can be retained in the public sector, availability of medicines, supplies and infrastructure can be improved, and public facilities can be better managed. Similarly, market harnessing regulatory approaches to broaden the first point of contact in primary health care can be another entry point of health reform in Pakistan’s setting. This approach can also enable purchase of services in order to achieve equitable access to care. One must also not lose sight of the context in which support for implementation of health reforms has to be mobilised. With the budget sessions starting, experts are arguing for the need to curtail fiscal deficit as a priority and cautioning against an expansionary fiscal policy. Such a course will have fiscal implications for the social sectors. However, it is precisely in such a fiscally-constrained environment that the question of improving returns on spending needs to be prioritised in order to address constraints imposed by poorly-functioning public systems. In this context, a recently released plan offers a roadmap to the reform of Pakistan’s health sector in a phased manner. In addition to synchronised changes at the policy, legislative and institutional level, the plan draws attention to a number of structural factors within and outside the healthcare system, and lays emphasis on reform of governance and social welfare as an important adjunct to reform within the healthcare system. The reform roadmap is relevant to current efforts aimed at achieving development goals in today’s macro-economically constrained environment and meeting broader development objectives in the context of Pakistan’s geo-strategic challenges. Ever since the enactment of major health reforms in the United States, global interest in the subject has burgeoned. For Pakistan, health reform should be an imperative for reasons that have been glaringly apparent. Cases of alleged malpractice by the private sector have soared to new heights over the last several months. There are various versions of healthcare ‘bills’ circulating as structural solutions to this deep-rooted problem, albeit with limited technical potential to impact change and almost no stakeholder buy-in. The menace of spurious drugs and procurement graft relating to medicines has been commanding attention of the superior judiciary. Dilapidation of primary healthcare has been a prime subject of media attention and the Pakistan Medical and Dental Council’s scuffle continues to smoulder. Although these issues appear to be standalone problems, they are, in effect, deeply interlinked and are cogs in a convoluted chain, which a consolidated attempt at holistic health reform has a high likelihood of unravelling and streamlining. Two things must be understood about the dynamics of health reform. One, that it has to be an indigenous process. And two, that it is a profoundly political process. With reference to the former, health system’s issues are closely inter-linked with a country’s body politic — so are the solutions. The strategies to be employed in the context of a nation state to remedy its health system’s woes are unique to a setting, and whilst lessons from similar countries have relevance, there isn’t a perfect fit. Health reform, therefore, means very different things in different contexts. In the United States, for example, where a publicly-funded system exists alongside a more predominant market system of pooling and provision, reform proposals in the past have centred on many strategies: removal of the private insurance market and establishment of a public option, premium subsidies to help individuals purchase health insurance, medical liability reform, policy options to reduce healthcare costs, etc. Through the recently enacted law under which insurance coverage is being expanded, the country is moving towards addressing the nation’s fundamental health sector anomaly — the US is the only industrialised democracy which didn’t until now provide universal coverage or financial risk protection to its population, and hence the medical bankruptcies. Other developed countries that do provide universal coverage, adopt hybrid arrangements vis-à-vis service provision and health financing. In Britain, Spain and Italy, revenues fund healthcare and service provision is largely in the public domain. In Germany, France, Netherlands and Switzerland, the means of financing is predominantly pooling or insurance but service provision is by private doctors whose potential has been harnessed by the state to achieve universal coverage goals. In other countries such as Canada, Taiwan and Australia, there are blended systems with private sector doctors and hospitals but with public insurance. The reform connotation in each of these settings is unique and is interlinked with the body politic and overall prevailing systems of governance in the nation state. In these countries, elements of competition, supplier/buyer roles, patient choice, diversity of providers, freedom for hospitals, stronger commissioning, new payment mechanisms, modalities of fund management, quality, measures for compulsory participation, government subsidies to cover the poor, and price regulation, etc., have strongly featured as pathways for health reform, over the years. The contemporary understanding of health reform in the developing countries has been shaped by reforms introduced by international agencies in the 1990s and have been linked to the concept of neo-liberal reform. These attempts at health reform used a variety of entry points with organisational efficiency as an outcome — introducing insurance, changes in payment systems, decentralisation, alternative modes of primary healthcare delivery, and hospital restructuring are examples of reform initiatives pursued by various countries in the past. Most reform attempts sought to improve the efficiency and quality of primary healthcare by structuring the role of the market in healthcare provision with separation of purchaser and provider functions as a major institutional overhaul. While some of these reform efforts positively impacted access, quality, and efficiency, they also came under criticism due to their perceived ideological conflict with the principles of Health for All. It is critical that in addition to efficiency gain, developing country health reform should also be configured to impact outcomes, with fairness in financing, enhanced responsiveness, and reducing barriers to access as endpoints. Lessons from around the world in health reform have important insights for reforming Pakistan’s health system. The latter can be described as ‘mixed’ where public provision funded by revenues co-exits with a market system of service delivery, with people accessing care through out-of-pocket expenditures. There are specific options to reform such systems by incrementally increasing and reorganising health financing, harnessing the role of the market to achieve universal coverage goals and reorienting stewardship and regulatory capacity to support that objective. Such changes are transformational but are critically needed to address the unacceptable level of preventable deaths and disease that plague people of this country. In order to understand what stands in the way of making the needed transformational changes in Pakistan’s health sector, we need to examine the second fundamental point about the nature of health reform in terms of its dynamics being highly political. In countries with a strong societal political culture and where healthcare accounts for one of the largest areas of spending, health reform is surrounded by hotly-contested political debates. This was evidenced by the difference in opinion between the Conservative and the Labour Party over the introduction of the purchaser-provider split in Britain some decades ago, and more recently, has been illustrated by the divergence of views on the type of fixes supported by the Democrats and the Republicans in the US in the last election, with the former leaning towards broadening the base of insurance and the latter supporting open market competition in order to cut costs. In Pakistan, with the social political culture being weak, there are no ‘pressing’ public demands for healthcare. The constitution does not explicitly recognise the right to health, although there have been progressive case law interpretations of the ‘right to life’ as also being inclusive of health rights. These judgments haven’t, however, had a knock-on effect with citizens going to courts and demanding that their right to treatment be enforced as has happened in many countries of South America where the right to health is constitutionally recognised. In Pakistan, the most damaging aspect with regard to the politics of health reform has been the lack of policy consistency. There have been many programmes initialised since the creation of the country, which had the potential to lead to transformational change, if they were sustained and if evidence was used to upscale them. In contrast, a plethora of restructuring pilots was never evaluated, and those who decided on their fate prioritised planning based on what was politically expedient. There is a long list of lost opportunities where public monies were wasted in pilot projects that couldn’t be institutionalised and the opportunity to save millions of people from death, suffering and disability was lost. Reform in the social sectors and in many spheres of governance is a long haul. It cannot come to fruition with the governments changing policy positions ever so often, when they are vying for quick visible outputs in the run up to the next election, when administrative agencies have limited technical capacity and when there is no accountability of politically expedient decisions. Pakistan must place health reform as a priority on its public policy agenda and tailor it to the local context with respect to economic realties, political circumstances and administrative capacities of local institutions. There are too many people dying as a result of lack of attention thereof. May 14, 2010: Sania Nishtar gives a talk on ‘Achieving universal health coverage: experiences of Pakistan’ at the Bocconi University in Milan, Italy. This is part of the Rockefeller Foundation global initiative on attaining universal coverage. May 14, 2010: Sania Nishtar has authored a chapter on ‘Pakistan: potential to achieve universal coverage for health’ in a book edited by Eduardo Missoni of the Bocconi University, Milan, Italy. The book is titled ‘Attaining Universal Health Coverage – a research initiative to support evidence-based advocacy and policy-making’ and has been published by EGEA, Italy (2010). This is part of a Rockefeller Foundation-funded programme to increase universal coverage for health. 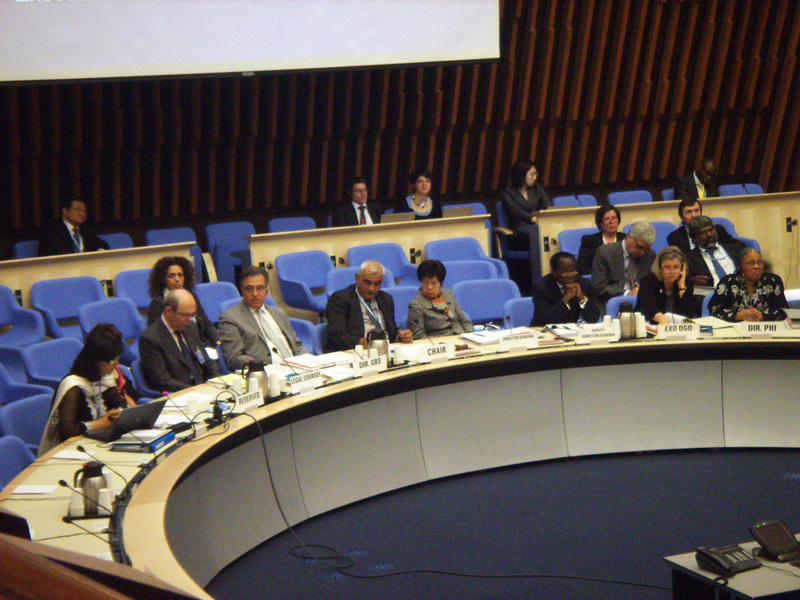 May 13, 2010: Sania Nishtar makes a presentation to the WHO Executive Board committee on the report of the Expert Working Group on R&D and Financing in Geneva, Switzerland. Context: The renaming of a province in Pakistan has lent impetus to calls for creation of other provinces by various ethnic groups. Smaller sub-national units can improve governance and service delivery including health. This article explores whether this is a viable option for Pakistan in the current situation when there are so many competing priorities in hand. Calls to create more provinces in Pakistan have intensified ever since NWFP was renamed Khyber-Pakhtunkhwa. People of district Hazara are out on the streets with their demand for Hazara province. A motion was moved in the Senate during the 18th Amendment session with the suggestion that district Bahawalpur be given a provincial status and pictures of students carrying placards of ëSariaki provinceí have been featured in newspapers ever since. While the renaming of NWFP is symbolic and recent attention to this subject motivated by ethno-lingual fervor, it is important to pay heed to these calls in view of Pakistanís past, vis-‡-vis the events of 1971 and recent notions mooted by Baloch separatists. This comment is an attempt to draw attention to three questions in this regard. The first question relates to the fundamental validity and justification for such calls. Contrary to popular belief, the demand for more provinces is not necessarily analogous to an anti-state and/or separatistsí connivance. In fact, increasing the number of sub-national governmentsóin other words provincesócan strengthen a multilingual, multiethnic federation and can be a useful way of garnering support and ensuring that federating factions have a vested in strengthening the federation. Allowing people to own their identity makes them feel part of the mainstream, less dominated and therefore, not alienated. These attributes are vital to the viability of a federating system. Observations from many other developing countries and economies in transitionódifferences in geographic and population characteristics notwithstandingóalso provide a justification for increasing the number of provinces. It has frequency been cited that many countries in our immediate neighborhood and others with comparable population size have a far greater number of provinces. All of these countries are thriving federations, which goes to show that the number of sub-national governments does not appear to undermine the viability of a federating system. Furthermore, Pakistan has an additional structural justification for revisiting and increasing the number of its provinces. One of its provinces is larger than the sum of all the others combined in terms of population sizeóPunjab represents 58% of the total population of the country. There are difficulties inherent to the functioning of a federation when that is the case. This is evident in the relationship of Punjab vis-‡-vis the federal government and other provinces at the political and economic level, the details of which, the word count limit on this comment does not permit me to delve into. Whilst dilating upon the justification, it must also be brought to bear that while the subject appears to be under the lens subsequent to renaming NWFP, this is by no means the first instance. Many recommendations and notions to this effect have been mooted previously. An unpublished viewpoint has called for the subdivision of each province into three parts, resulting in the creation of 12 provinces. Another publication in the public domain has made a case for adding more provinces on ethno-lingual basis, alluding to the possibility that Khowar, Kalasha, Kohistani, Seriaiki, Potohari, etc. provinces can be created. Other less pragmatic ideas have also been flagged recommending that each district be granted a provincial status. Moreover, the creation of Gilgit-Baltistan province, though in a different context than the one under discussion, is nevertheless an indication that such drastic changes in the architecture of sub-national government are now acceptable. The second question: Will the creation of more provinces, per se, improve state governance and ensure that state mandated servicesólaw and order, justice, health, educationóare better served? The answer to this is clearly, no. Breaking the country into more provinces is not an end in itself. It can however, be a means to a desirable outcome if creating more provinces is coupled with the grant of meaningful provincial autonomy in ways that incentivize performance enhancement and institutionalize overall checks and balances. This can have a knock-on effect on sub-national governance with benefits accruing to populations beyond the process outcome of redrawing provincial boundaries. The third question relates to the feasibility and appropriateness of opening up this Pandora box in the country at this point in time in view of the current circumstances. The timing is, unfortunately, not as well placed to make structural changes as is their justification. There are too many things currently in the pipeline, which can impact provincial governanceóthings that havenít yet come to fruition. Provinces are half way in getting some control over their resources through the National Finance Commission Award the 18th Amendment stipulation with regard to the abolition of the Concurrent List has created a set of imperatives for transferring authority with a range of transformations in relation to a number of subjects previously under the Concurrent List. This has political, administrative and fiscal implications. An additional complexity relates to lack of clarity about the local government system, which impacts many attributes of local governance, from its working to the development of grass roots democracy, the functioning of judicial magistracy and citizenís empowerment. With provincial mandates in a flux and the local government system undergoing a transition, opening another major chapter by calling for more provinces will add another level of complexity and doesnít appear prudent whist the state is grappling with many internal security and macroeconomic challenges. It must also be recognized that creating more provinces will have major fiscal implications. With the balance sheet in a perpetual dire strait, and the country in the International Monetary Fund fold, plans for resource-intensive elective state restructuring are unlikely to have appeal for the factions that hold the purse strings. There are many competing priorities for investments, for example energy and targets set for cutting down establishment costs, which are additional reasons why support for this idea might not meet approval. Even if that barrier is overcome, capacity constraints will have to be addressed. Federating units have to have the capacity and infrastructure to mobilize revenues, manage their own natural resources and trade in a very complex global environment in order to be effectively autonomous. Recent experiences with negotiating the NFC award demonstrate weakness in the ability of existing provinces in many of these aspectsócarving out more provinces will entail the development of these capacities from scratch, which would be an extremely complicated task. It may be feasible to use the one-year transition period stipulated under the 18th Amendment with regard to transfer of responsibilities to the provinces to develop a model of effective provincial and district functioning before putting the idea of ëmore sub-national unitsí on the table. This process will require careful consensus-building at the national level. The time can also be used to think through the implications of more provinces on issues such as provincial representation in the Senate. In sum, therefore, increasing the number of provinces can be justifiable on many grounds. The approach can also be in synergy with ongoing efforts to grant provinces more autonomy. However, there are major constraints in embarking upon this highly charged political process with the country engaged on so many fronts and whilst evidence of the effectiveness of recent inanities to grant provinces more autonomy is not available to inform the next steps. The implications of whipping up ethno-lingual zeal in support of more sub-national units and the chain reaction that it can lead to must be clearly thought through. What is important is to be clear about the underlying motive. The latter should be to improve governance and improve service delivery and not to carve out agendas for political forces that operate on the periphery. The Rockefellar foundation donates to Heartfile Health Financing, an mhealth enabled access to treatment initiative established by Heartfile. The donation will be used to treat poor patients at the Pakistan Institute of Medical Sciences in Islamabad, Pakistan. May 6, 2010: Review of ‘Choked Pipes’ by Shafqat Shahzad entitled ‘Transforming healthcare’ was published in The Friday Times, April 30-May 6, 2010. The author focused the discussion on the recommendations for reform. Full text is available here. May 5, 2010: Following the Karachi launch of ‘Choked Pipes,’ a technical seminar was held at the Ziauddin University, Karachi. The seminar was hosted by Professor Naeem Jaffery and was attended by a large number of academics. Sania Nishtar gave a talk on the book and interacted with the audience.